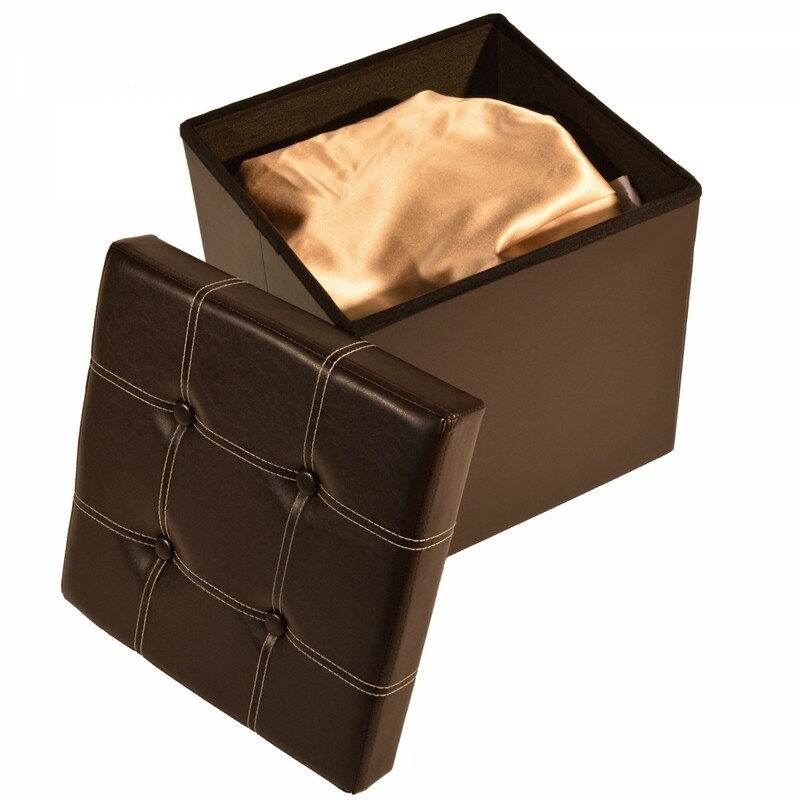 Achim Importing Co. FREE Shipping! 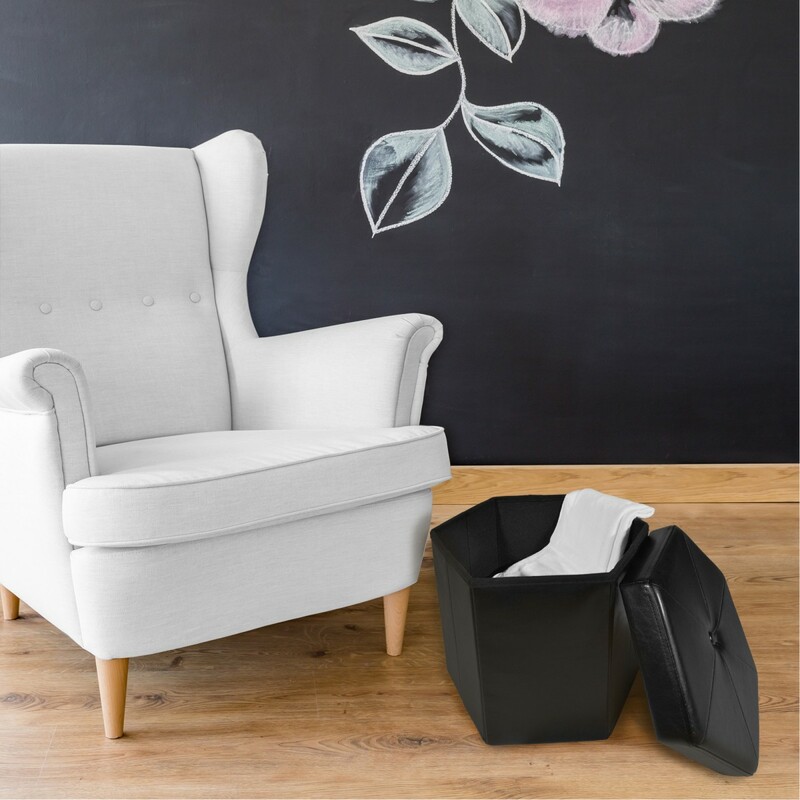 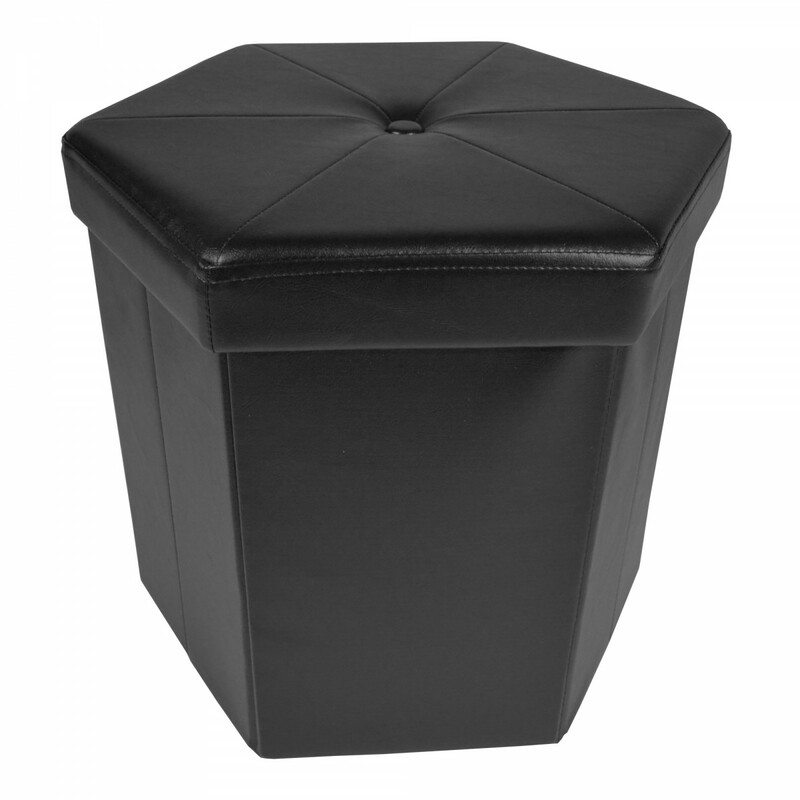 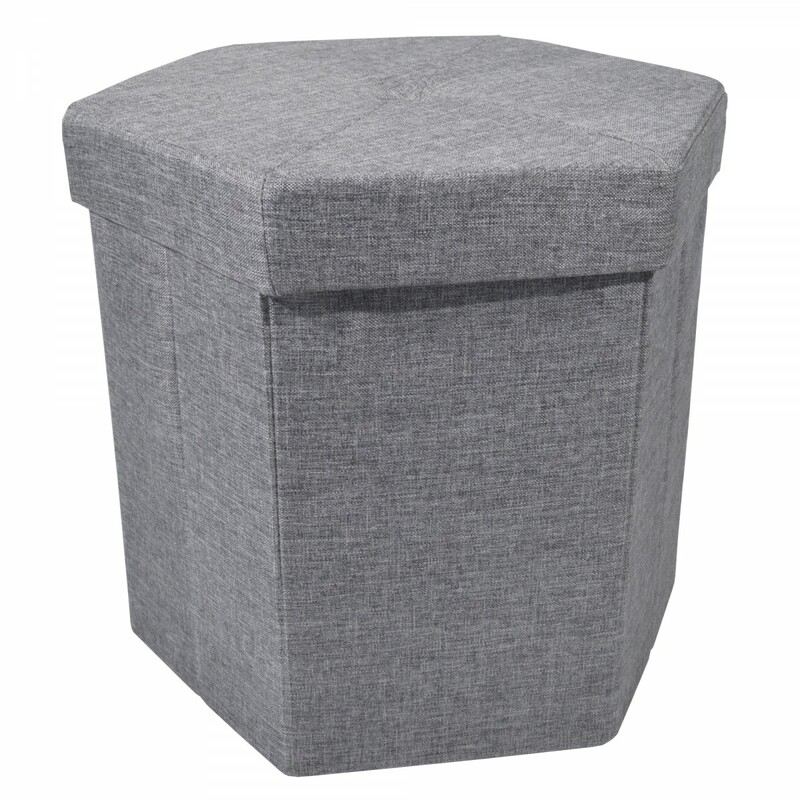 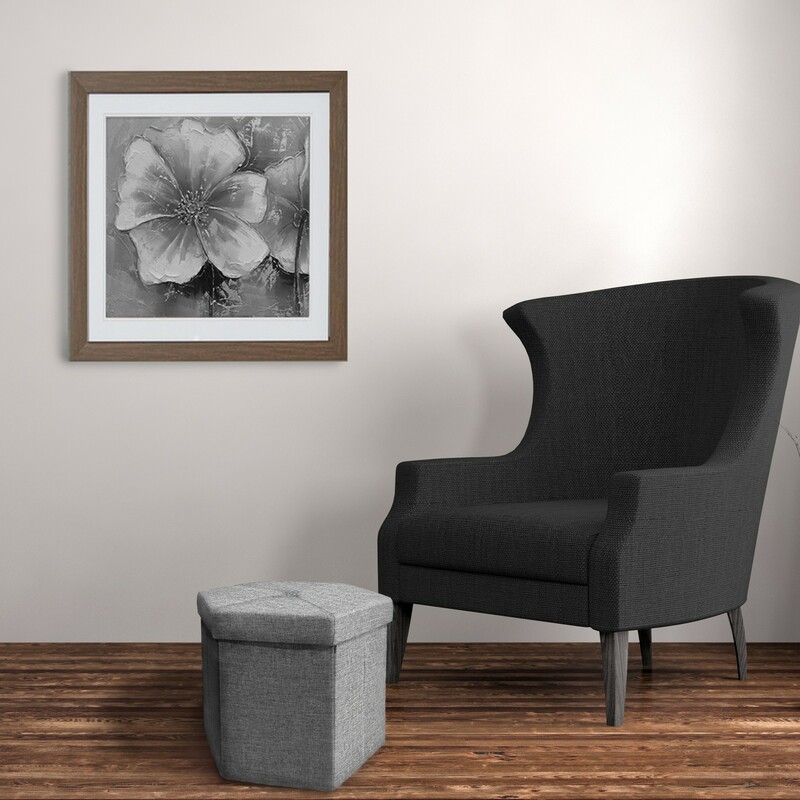 The Collapsible Tufted Storage Ottoman is sure to please with its versatility. 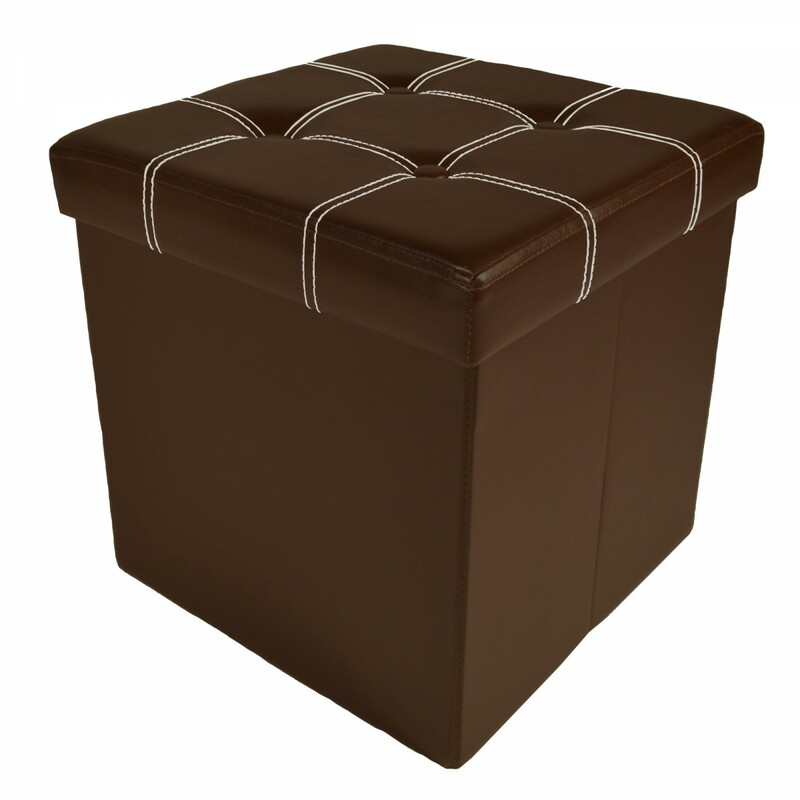 Providing comfort for tired feet or as an extra seat. 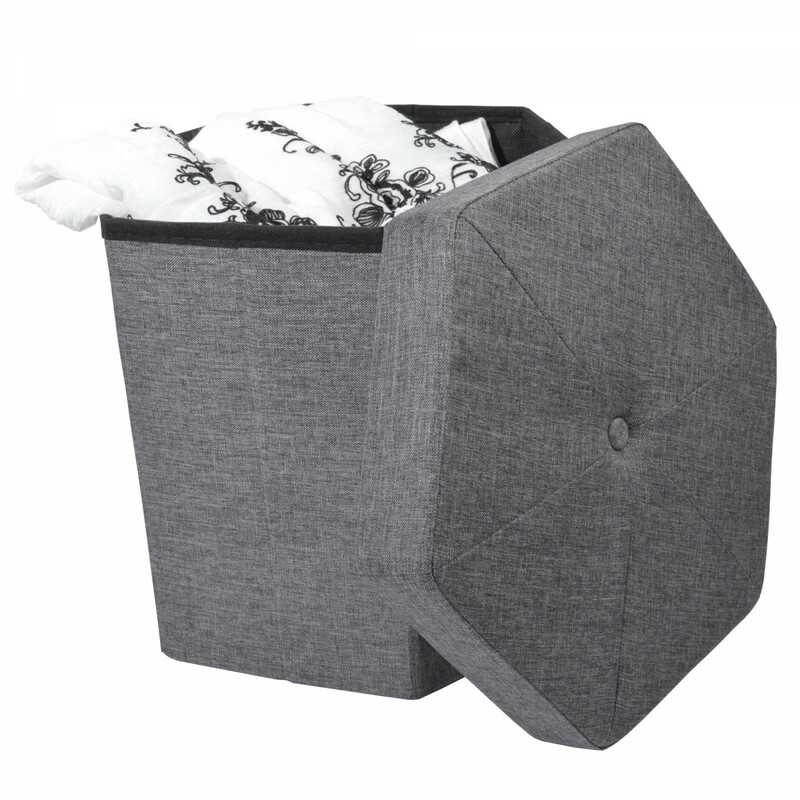 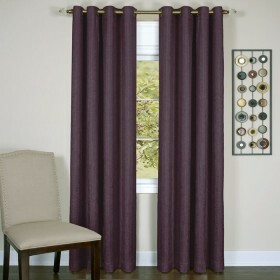 It is an ideal storage space to hide blankets, throw pillows or toys. 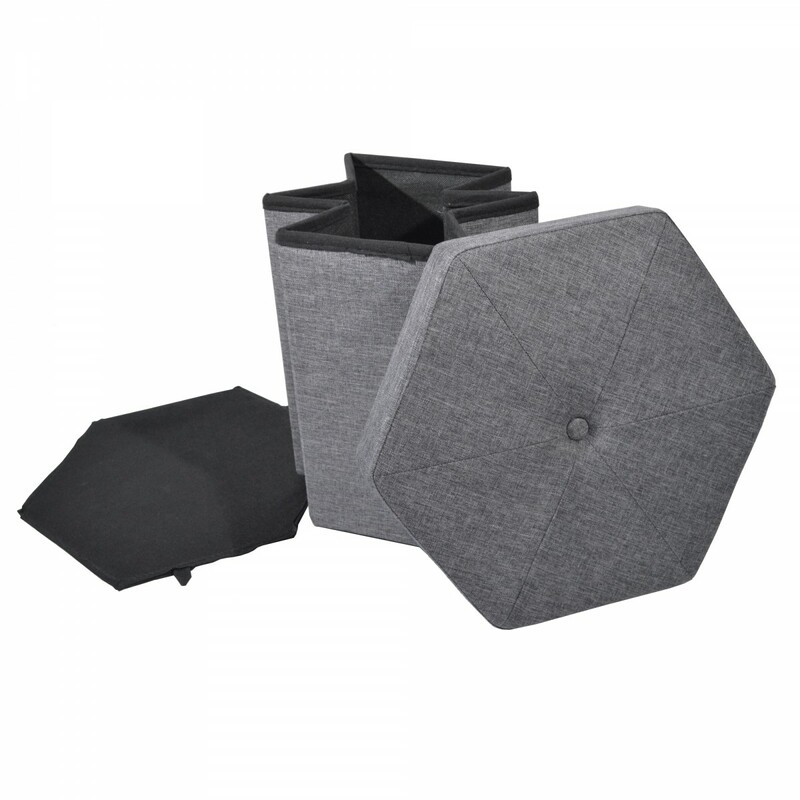 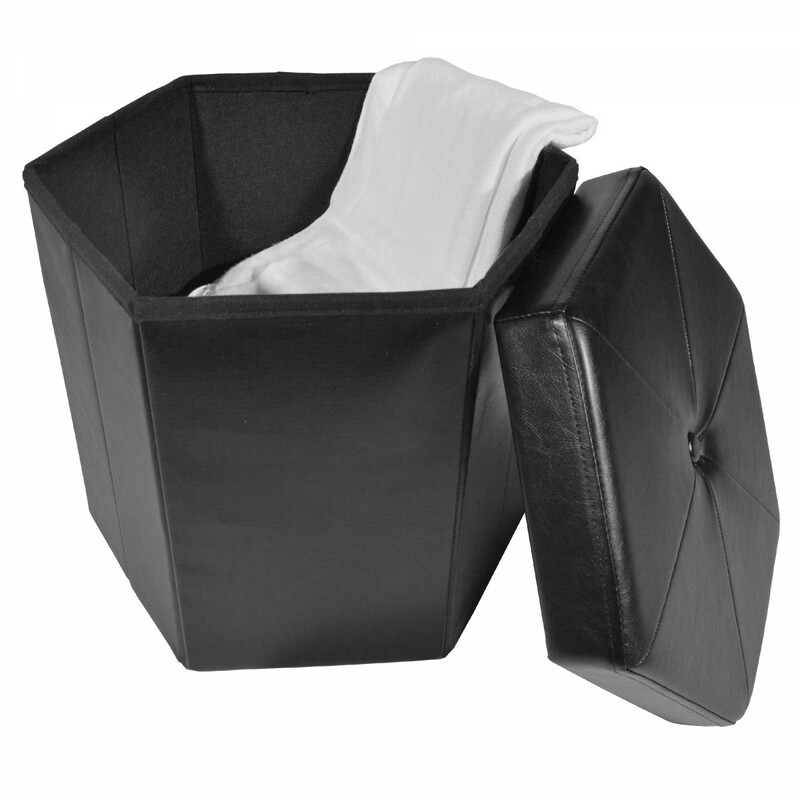 The collapsible sides and bottom all fit inside the top to store it out of sight when not in use. 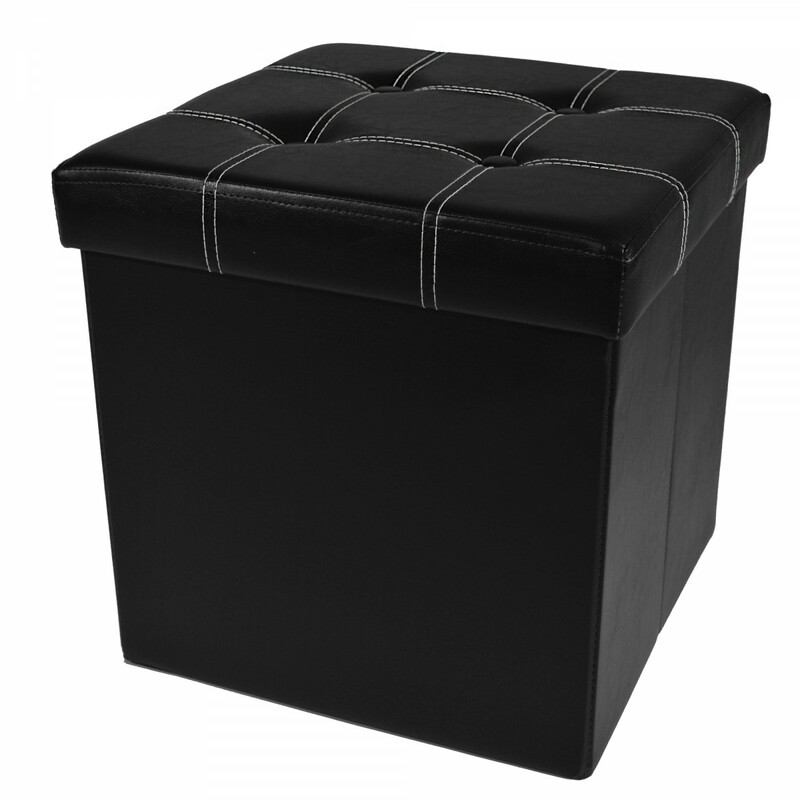 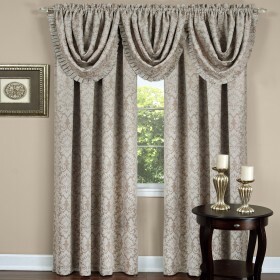 The removable top is tufted and stitched for added style and durability.Ships in 3-5 business days. 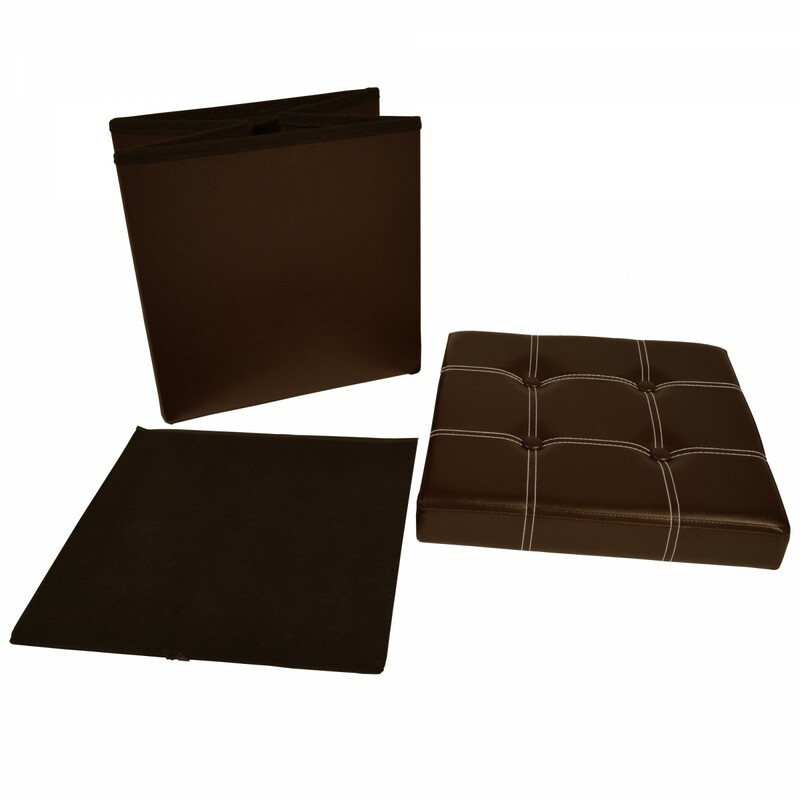 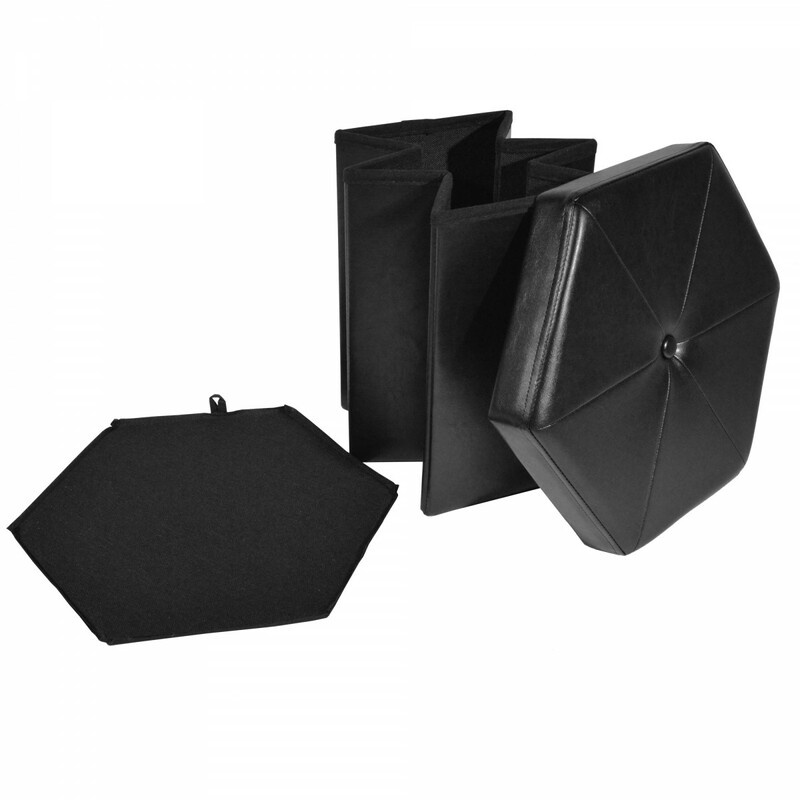 Removable bottom panel and top; fully collapsible sides. 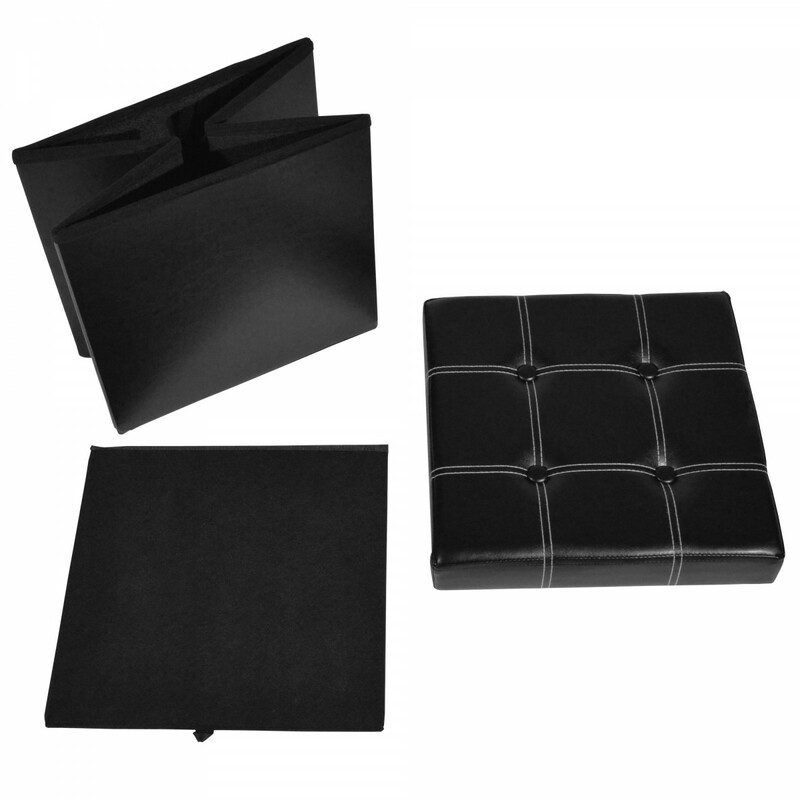 One Tufted Top, one leather sided collapsible base, one support board.